Israel Folau recently made history by setting a Super Rugby try scoring record, making him one of the greatest players of this generation, but his recent actions may see him forced out of the sport on a professional level indefinitely. 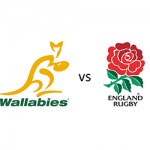 In an unprecedented episode, Rugby Australia has confirmed that they are on the verge of removing the fullback from the team permanently, just a few months away from when the World Cup is set to start, and where Folau would have been a central figure for the team. 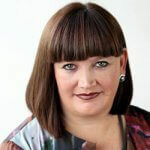 This comes after Folau recently posted on social media that he believes all gay people were among those that would be condemned to hell unless they repented. Rugby Australia has explained that unless the player has a valid explanation for his latest social media post, they will most likely be removing him from the national team after he meets with the rugby chiefs. 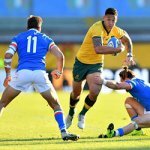 It’s very possible that Folau may never be able to play in the rugby union ever again. The latest episode is similar to the trouble he found himself in last year, where he made similar posts on his Instagram. And while last year Rugby Australia was able to look past the post, despite not supporting it, it looks to be different this time around. 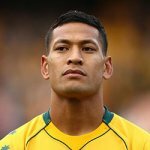 Quanta, which is the primary sponsor of the Wallabies, has stated that they are not happy with Folau’s latest comments, and could spell financial problems for a struggling Australian union if he’s not removed.